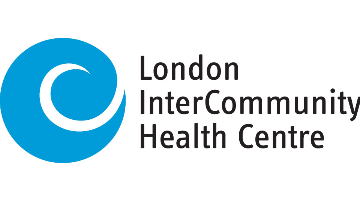 For more than 25 years, the London InterCommunity Health Centre has provided health and social services to those who experience barriers to care including poverty, homelessness, language or culture, and complex and/or chronic health conditions including mental health and addictions. Today the organization is viewed as a community leader in newcomer health, care of vulnerable women, and issues of health equity, client-led service development and the advancement of partnerships that improve access to vital services for the community’s most vulnerable. The Social Worker works as part of an interdisciplinary team, to provide team-based care using the model of health and wellbeing. Recognizing the broad scope of practice of the Social Worker, and the complexity of the client’s needs, this role will have a significant responsibility in providing case management functions. The incumbent of this position will work onsite as well as at our partner’s locations to provide case management, psychosocial assessments, and trauma informed care, counselling /therapy- using different therapeutic modalities- to individuals, families and groups. Additionally, this role will require the ability to develop, facilitate, evaluate therapeutic/counselling groups, and participate in the development, implementation, monitoring and evaluation of programs and services for individuals, families, and the community. Are committed to work in a way that meets client’s needs where they are (e.g. Home visits). Have significant experience in case management. Have working knowledge in trauma counselling therapy. Have ability to work in an interdisciplinary, diverse setting. Are a natural motivator and advocate. Have a Master’s degree in Social Work from a recognized University. Have a Current registration and are a member in good standing with the Ontario College of Social Workers and Social Service Workers. Have 3 to 5 years of counselling/therapy experience; preferably in a community health setting. Have experience in mental health, addictions and primary care. Have direct experience with communities at risk such as the homeless population, people who inject drugs and use substances, Indigenous populations and people with serious mental health challenges. Have experience working with refugees and newcomer populations. Have proficiency in French and/or other languages, as this is an asset. Have excellent interpersonal and problem-solving skills with strong written and oral communication skills. Have critical thinking and emotional intelligence skills. Demonstrate strong organizational and time management skills. Have strong computer and data management skills. Have the capacity to work in a highly paced working environment. Have a valid driver’s license with regular access to a reliable vehicle for work related duties. This full time position offers a competitive salary, complimented with membership in the Healthcare of Ontario Pension Plan (HOOPP) as well as paid vacation and professional development time. To promote time to recharge, our normal work week is 37.5 hours, Monday to Friday, evening flexibility is required. Paid sick and emergency days are available to all staff for self and family care. A dress atmosphere best described as “casually professional”, a recognized Positive Space for staff and community and a commitment to hiring staff that reflect the diversity of our clients and community we serve demonstrate we are an equal opportunity employer. Qualified applicants are encouraged to apply for this position by forwarding a covering letter, stating the position title in your covering letter, and resume by Friday February 15 2019 at 12:00 am to the attention of Roger Kabuya. The Health Centre is committed to hiring staff that reflect the diversity of the clients and community that we serve. Should you require accommodation in making an application please contact our office. We thank all applicants for their interest, only those selected will be contacted. To learn more about the Health Centre visit us online at www.lihc.on.ca, follow us on Twitter @HealthCentre or like us on Facebook – London InterCommunity Health Centre.